Micron this week announced plans to discontinue its Lexar removable media storage business as a part of the company’s strategy to shift to higher margin NAND flash-based products. The company intends to sell all or part of its Lexar business division, but promises to support existing customers during the transition period. Lexar was spun off from Cirrus Logic in 1996 and then acquired by Micron in 2006 in a bid to market NAND flash media. More recently, approximately two years ago, Micron cut down the amount of NAND memory it supplied to spot market in a bid to concentrate on building its own products and thus earn higher profit margins. Last year the company announced plans to work with its clients to build software for their software storage offerings to further improve its profit margins, this time from various SSDs. In addition, the company disclosed plans to develop special memory solutions for emerging automotive applications (which will complement its embedded portfolio). This week Micron went even further and disclosed plans to cease selling Lexar branded products to consumers and OEMs as a part of its strategy to increase “opportunities in higher value markets and channels.” The portfolio of Lexar products includes memory cards and card readers, USB flash drives and even SSDs. Given the competition on the market of retail removable media and storage drives, the withdrawal from such businesses may be logical for Micron, which feels increasing pressure from Samsung, Western Digital (SanDisk) and others amid lack of market growth in terms of NAND bits (at least, according to its own predictions). Meanwhile, the withdrawal also means that Micron will have to concentrate on production of SSD-grade memory, whereas any further removable storage-grade NAND that the company produces will have be sold on the open market. If someone buys the Lexar operations from Micron, the latter will likely sign some kind of exclusive supply agreement with the new owner, which means that it will keep developing the aforementioned NAND. SSD-grade memory is more expensive than chips for memory cards or USB flash drives. and for about a year Micron was the only company to sell its SSD-grade 3D NAND to third-party SSD vendors, possibly earning higher margins than by selling removable storage devices. However, NAND for the latter is typically used to test drive new production technologies and/or architectures before deploying them to make memory for SSDs. Otherwise, looking at the bigger picture, Micron new alignment with regards to the removable storage market is not particularly unique. SK Hynix and Intel don't produce removable storage products either (at least, not under their own trademarks), leaving Samsung, Toshiba and Western Digital as the three remaining vendors who do. That said, while it will be sad to see Micron’s Lexar gone (assuming that nobody buys it), Micron’s withdrawal from removable storage business is not exactly surprising. 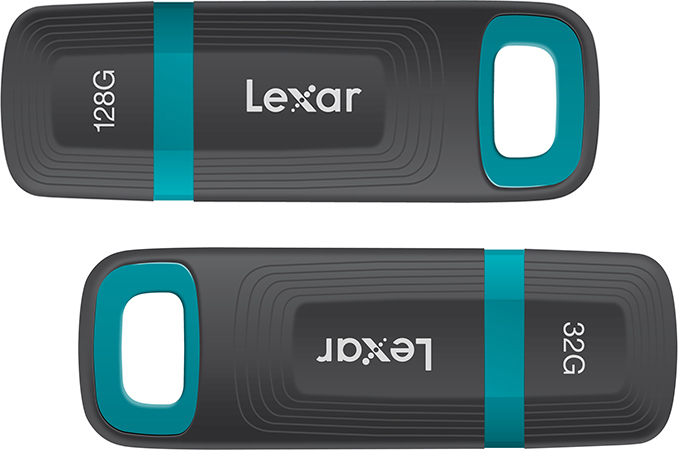 I bought a Lexar 500gb USB 3.0 Type-A external ssd from Costco a month or two ago for about $215. Much better than all of the thumb drives it replaced for moving data to my offsite cold storage at a family member's house. I get writes of 70-75 MB/sec from other SSD or HDD, and reads range from a lwo of 60 to a high of 375 MB/sec depending on destination drive and filesize. Overall I'm very happy with the Lexar drive given its price, size and speed. That will be their shift to high margin NAND they're talking about.